Where Can I Get My Well Water Tested for Free? There are many different companies that offer to test well water for free. Most of these companies require you to take a sample of your water and send it to them through the mail. 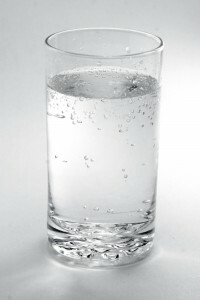 You then wait, sometimes endlessly, for the company to test your water and send you the results. One of the problems with this water testing is that, since the test is not being done in person, you may not be able to ask any questions regarding your water test results or the methods used to test your water. It’s also inconvenient to take your own sample, mail it to the correct facility, and then wait to hear back for the results. To skip the process of mailing your well water sample to an unknown company and waiting for results, you can try finding a company that offers water testing kits. These do-it-yourself kits are often cheaply made and may not offer the most accurate results. It can also be stressful to test your own well water if it’s your first time doing it. Plus, just like with the option of mailing a water sample out to be tested, when you test your own water, you’re not able to ask in-person questions and will probably have to interpret the results yourself. If neither of these methods sound like the right one for you, there’s good news: RainSoft offers a complimentary in-home water hardness and drinking water test. All you need to do is call us to schedule an appointment for one of our experts to stop by your home and test your well water. When your appointment date arrives, a RainSoft representative will visit your home, take a sample of water from your faucet, and perform the test right in your home. This means you’ll get your water test results within a few minutes and have a RainSoft expert there to explain the results and answer any of your questions. Are you ready to have your well water tested for free by a professional? If so, make sure to call RainSoft today.